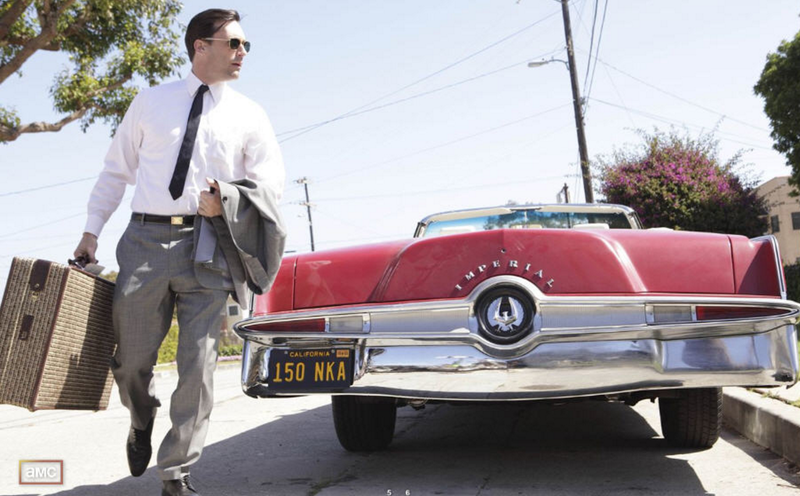 If you’re ready to convince everyone you know that you’re going through something of a crisis in life you can now purchase Don Draper’s 1964 Imperial, as seen in season 4 of Mad Men. This 1964 Chrysler Imperial was used in episode 3 of season 4, and any further description of the episode is apparently a spoiler, as I have not finished the series yet and have now ruined it for myself with the listing. I understand I’m far behind, but heed the warning if you must. This stunning example of mid-1960's styling boasts the iconic 413 V-8 wedge engine mated to the smooth-shifting 727 TorqueFllite push button automatic transmission. Power steering, power brakes, power windows, power antenna for the working AM-FM radio and electric top; she’s fully loaded from the factory. This beauty is believed to be all original except for one repaint about 20 years ago and new carpeting. So yea, if you want an extremely rare piece of Americana motoring and are okay with the fact that the car only cropped up for a few minutes in one episode of your favorite ‘60s advertising drama on AMC, then what are you waiting for? Just make sure you eye over those terms and conditions, and check out some of the other interesting Mad Men memorabilia for sale.